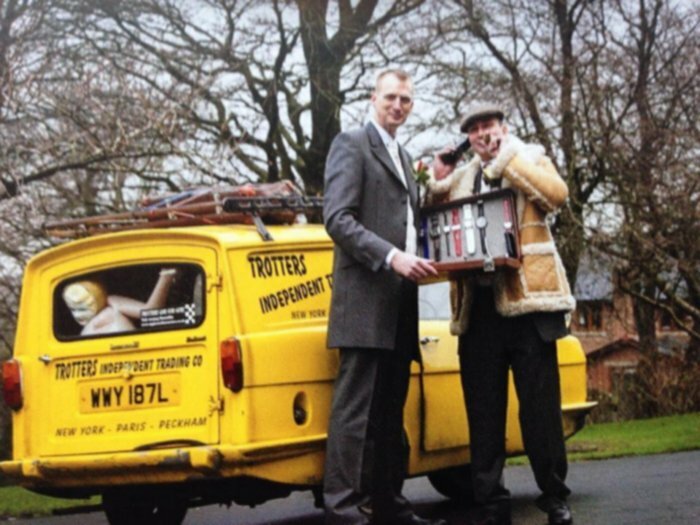 Our Novelty Limo Hire will cater for those fun trips & novelty car hire requirements and all with free complimentary drinks . Novelty Limo Hire. 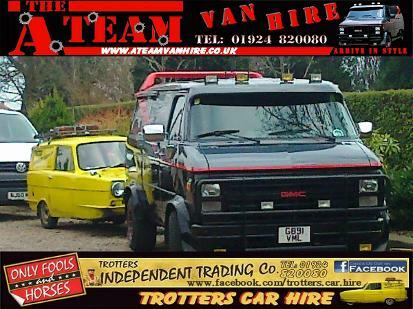 Novelty Limousine Hire, A-Team Van, Trotters Van, Hummer Stretch Limo. 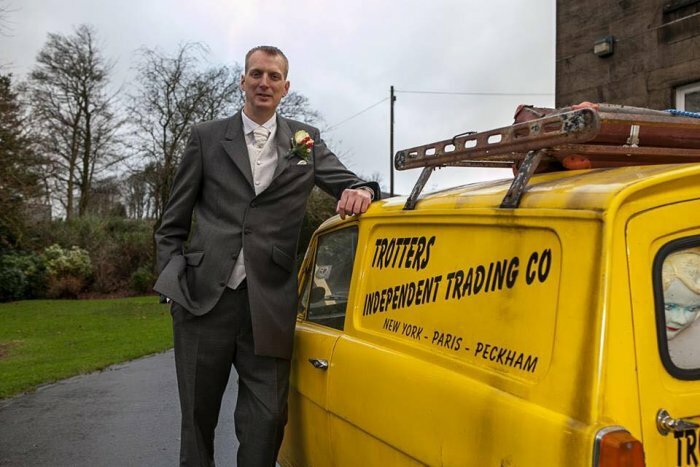 White Wedding Car Limousine. 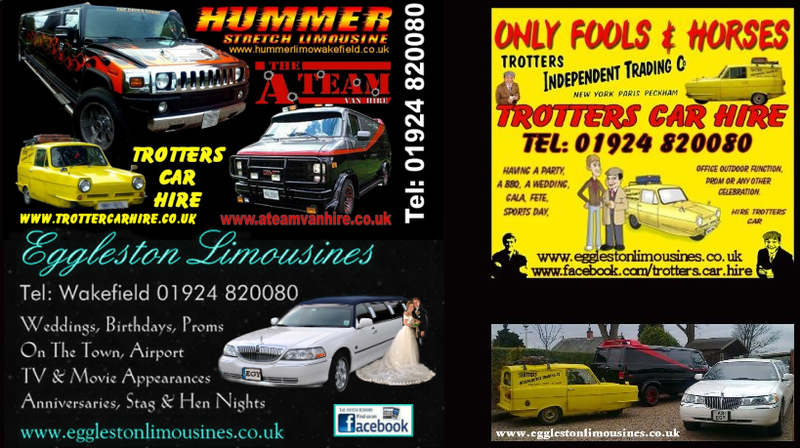 Chrysler Wedding Limo in and around Wakefield, West Yorkshire is part of Eggleston Limousines . 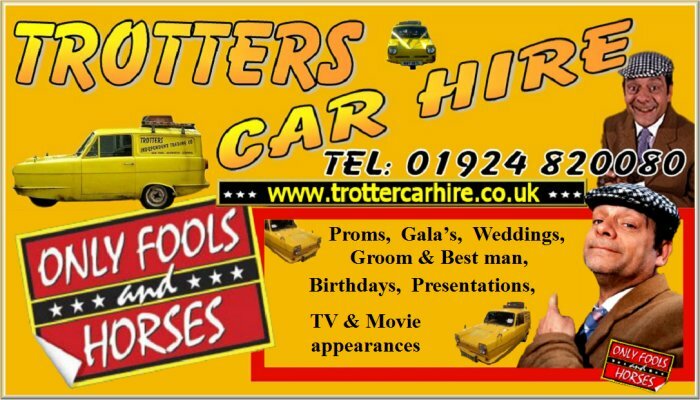 Trotters car hire - Only fools & horses Trotters van hire available for parties, fairs, school gala's and many other functions. 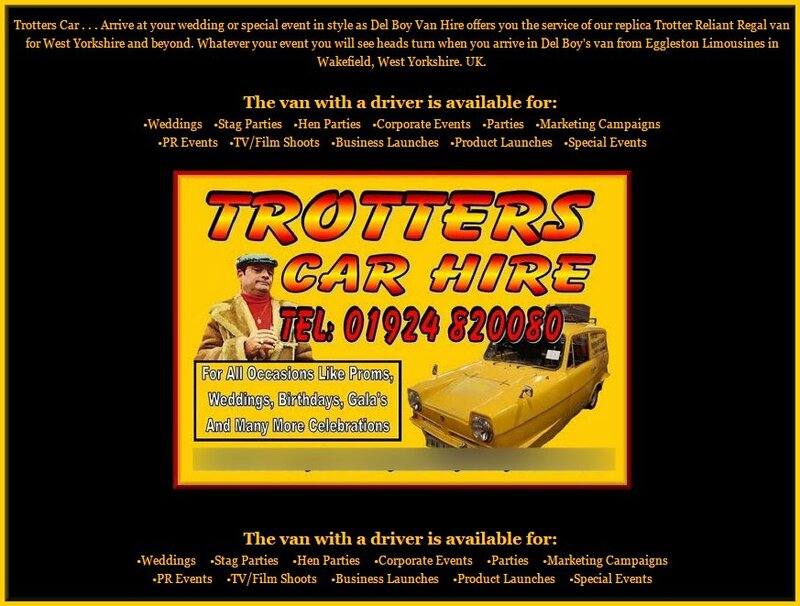 Only Fools and Horses car hire. 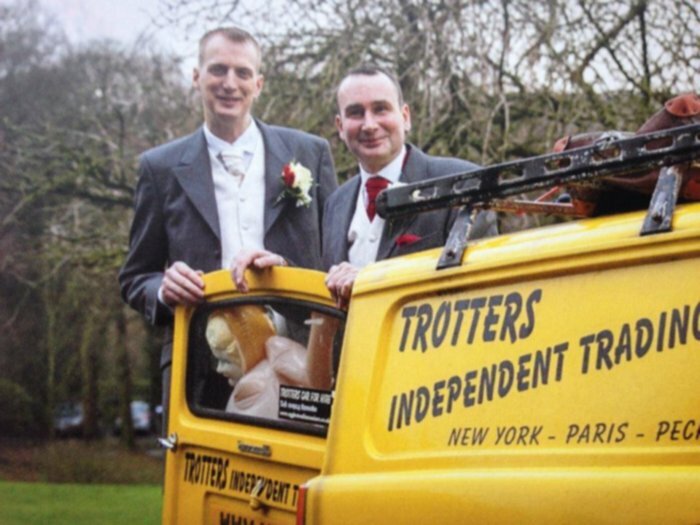 Trotters Three Wheeler Van For Hire. 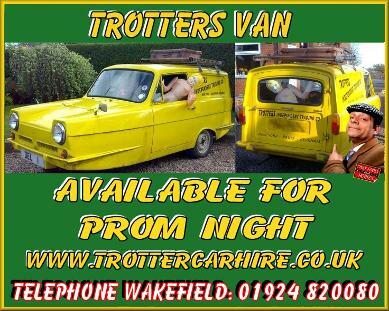 Call Wakefield Tel: 01924 820080 for further information or to make a booking. Thankyou for visiting this - our website. You may like to visit our main website for more information about our other limos for hire, by clicking a link below here. may send us your message by using our automated Contact form or Quote form. Our friendly and helpful staff will make sure you have a comfortable and enjoyable journey. This is our job, and it's our mission to help you feel at ease too!